Have you ever wondered what it would be like to live in a castle? Since owning one outright is cost prohibitive for most people, there are a number of historic castles around the world that have been converted into luxury hotels. Imagine spending the night in a historic fortress, dining in a medieval hall, or relaxing in acres of elegantly manicured gardens. It's all possible! 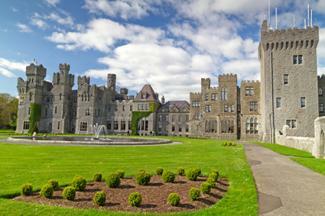 Vacation like a like a king or queen in one of these ten amazing castle hotels. Visiting the Tuscan countryside in Italy is a dream in itself, but imagine spending your holiday in a 14th century castle that once served as an important strategic fortress. Castello delle Quattro Torra's name translates to "Castle with the Four Towers." Today, the castle welcomes overnight visitors to its peaceful and tranquil grounds, believed to be the ones depicted in Ambrogio Lorenzetti's 1339 fresco mural, Allegory of Good Government, which is located in Siena's Palazzo Pubblico. 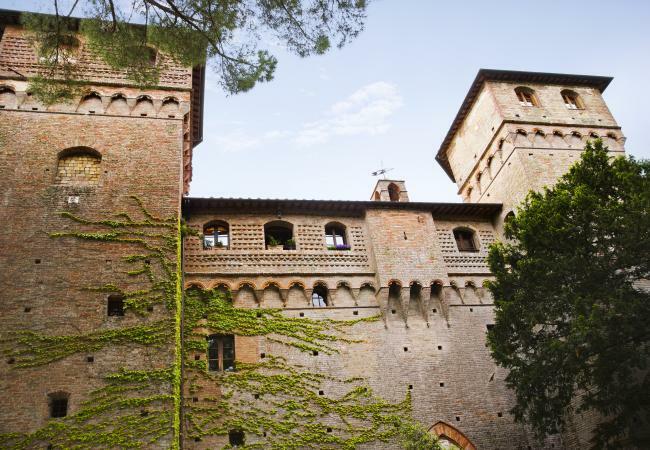 Castello delle Quattro Torra offers bed and breakfast options, including an apartment that overlooks the medieval open-air courtyard, complete with a separate entrance, master bedroom, kitchen located in the tower, and a living room with a fireplace. There is on-site parking, and it's conveniently located near a number of popular Tuscan sightseeing stops. Ashford Castle in Mayo, Ireland is a medieval castle that has been expanded over the years and operates as a five star luxury hotel. Built in 1228, the castle has had an interesting line of owners, including Sir Benjamin Lee Guinness in 1852. A number of notable guests have stayed at Ashford Castle, including King George V, George Harrison and John Lennon, President Ronald Reagan, and Brad Pitt. Aside from its five star dining and service, the 83-bedroom property offers guests a number of outdoor activities, including clay pigeon shooting, an equestrian center, golf course, fishing, and lake cruising. As its name suggests, Abbaye de la Bussière in Burgundy, France was once a functioning abbey, although the monks have long since departed. The former monastery dates back to the 12th century, but the 11 rooms have been completely updated and are more reminiscent of a French country home. Each room has been elegantly appointed, complete with ensuite whirlpool baths. When it comes to food, look for head chef Emmanuel Hébrard to bring the best in Burgundian cuisine to visiting guests. India might not be the first country that comes to mind when you think of castle accommodations; however, there are a number of beautiful palaces, including Neemrana Fort- Palace in Rajasthan. 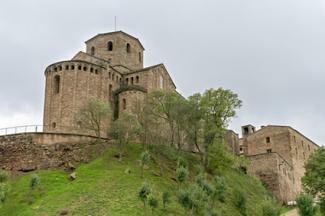 It's a 15th century palace that spans seven wings over 12 tiered hillside layers. It's conveniently located near Delhi and includes some cool amenities, including India's first zip-line. Considered one of the most important medieval fortresses in Catalonia, Parador de Cardona in Cardona, Spain gives visitors a look into Catalan culture and the principality's historical past. The hotel is located within a Gothic 9th century fortified enclosure, adjacent to the 11th century Romanesque Church of Sant Vicenc de Cardona and the impressive Torre de la Minyona, or Minyona Tower. Notable features include views of the historic Roman bridge and, on a really clear day, you can see the majestic hillside monastery of Monserrat. Catalan-inspired medieval furnishings showcase the Castle of Cardona's gothic architectural features, as well as incorporate modern amenities, like air conditioning, a gym, and a sauna. The on-site medieval restaurant prepares traditional Catalan dishes like Espinacas a la Catalan, a spinach dish with raisins, or Butifarra con Mongetes, local Catalan sausage with beans. 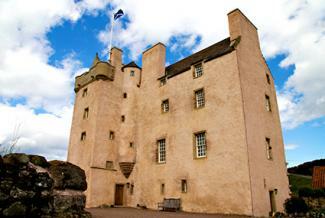 Fenton Tower is a magnificent, 16th century fortified castle located near Edinburgh in Scotland. Today, the North Berwick property is a five-star luxury hotel that can accommodate up to 12 guests. Fenton Tower has seen its share of famous visitors. King James VI of Scotland once sought refuge there after fleeing from the rebel army in Fife. Golf enthusiasts will appreciate Fenton Tower's proximity to world-famous golf courses, including Muirfield, Gullane, and North Berwick. Other activities that can be arranged include game shooting, river and loch fishing, horseback riding, and bird watching. Set within France's wine country in Bagnols, Château de Bagnols is one of the most beautiful 13th century castles available to overnight guests. Surrounded by vines, moats, a drawbridge, towers, and French gardens, Château de Bagnols is like stepping into your own fairytale. Built between 1217 and 1222, it has seen a number of owners and uses, including use as a winery in 1820, before being restored in the late 1980s after falling into disrepair. 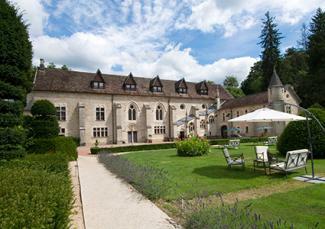 It wasn't until 2011 that Château de Bagnols became one of the finest hotels in France. The castle includes 21 rooms, eight of which are apartments, and all are luxuriously appointed. Don't skip dining at the Chateau's signature restaurant. Head Chef Jean Alexandre Ouaratta has worked alongside one of France's best chefs and strives to bring the best in local cuisine to Château de Bagnols. 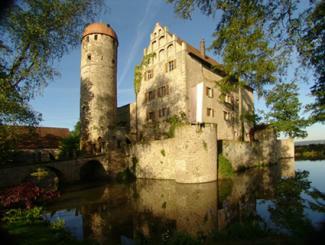 Schloss Sommersdorf is conveniently located on Germany's well-known Romantic and Castle Roads in Bavaria. This medieval beauty was built in the late 14th century, and several notable families have occupied the castle since its construction. The Crailsheims were the last to take on the castle, with Graf Krafft von Crailsheim serving as a top official in the court of King Ludwig II of Bavaria. The property features three private apartments and two private bedrooms that can be rented. Its Gothic hall is a popular spot for couples looking for the ideal wedding locale. Be sure to check out the Schloss' impressive collection of old cars, including a 1913 Ford Tin Lizzy that still runs. Located in North Yorkshire, England, Swinton Park is a luxury castle that was once the ancestral seat of the Earl of Swinton and has been under the care of the Cunliffe-Lister family since the 1880s. In addition to the 200 acres of Swinton Park, the Cunliffe-Lister family also runs the 20,000-acre Swinton Estate. Food is a primary focus at Swinton Park, and the property even operates a Cookery School on site. The award-winning Cookery School offers a number of classes geared to all skill levels - even children. Since the owners want to reduce carbon emissions and cut down food miles, Swinton Park has four acres devoted to the kitchen garden alone. Romantic Chateau Krasna Lipa is a Victorian-style castle built in 1886, and it oozes romance with its Romeo and Juliet-style balconies. Chateau Krasna Lipa is located within the UNESCO World Heritage Site of Czech Saxon Switzerland in the Czech Republic at North Bohemia. 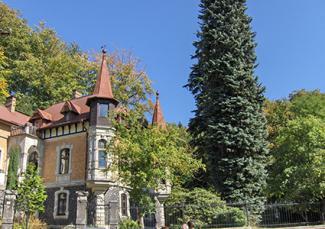 Chateau Krasna Lipa features eight luxury suites with private baths, some with terraces. No children under 12 years of age are allowed. The area is filled with interesting rock formations and crystal clear lakes and rivers which are surrounded by lush forests. If you were hoping one of these castles might tell some ghostly tales, Chateau Krasna Lipa has some interesting tombs, life-size grave markers, and cemetery plots located throughout the property. Be sure to ask the staff about several unexplained sightings on the property. The castle hotels profiled here are some of the best, but there are even more to explore. Your travel agent can help guide you to the perfect location for a dream vacation you'll never forget.